You will use this Creme Fraiche recipe more than you think. 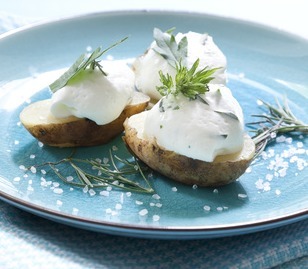 Unlike real creme fraiche (which you use for baking), faux creme fraiche should be used only as a topping or filling. So easy to make and so delicious. More easy dessert recipes at the end of the page. Use this when you want the tang of crème fraiche, but don’t have any on hand. For a firmer, tangier cream, you can play with the proportions of heavy cream to sour cream. Start by reversing the amounts (using 3/4 cup sour cream to 1/2 cup heavy cream), then adjust the proportions by adding more heavy cream to suit your taste. Place the sour cream into a medium bowl. Whip the heavy cream until it hold soft to medium peaks - you don’t want it to be too firm. Scrape down and fold the ingredients together with a rubber spatula.